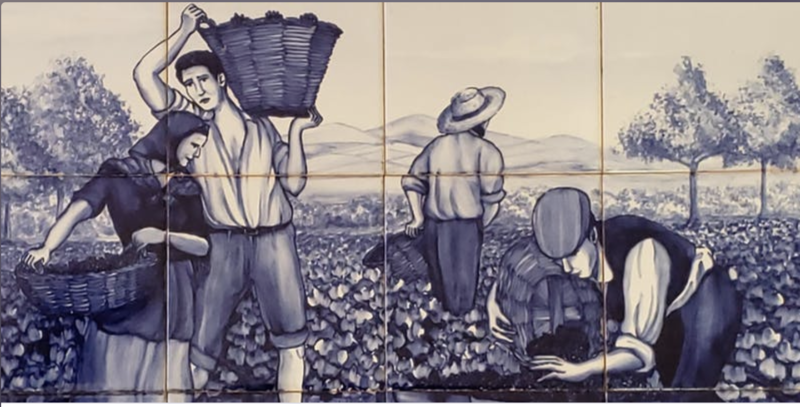 The Silicon Valley Portuguese Education and Culture Foundation invites you to an evening of delicious food, wine, music and fun at “Vindimas 2018 – Night at the Harvest.” Join us for a fundraising social event on Friday, September 7, 2018 at the Silicon Valley Capital Club in downtown San Jose, with no-host cocktails from 6:00-7:00 and dinner at 7:00. Enjoy the Silicon Valley Capital Club’s spectacular 360-degree views from atop the Knight-Ridder Building as you review the evening’s silent and live auction items. sponsor cultural and educational events in the community. Ticket Price is $89.00 per person. Ticket includes an elegant 3 course dinner with wine, music, and silent and live auctions. Menu: Spinach with Strawberries, Chevre Cheese, Hazelnuts with Balsamic Dressing, choice of Roasted Sea Bass with Lobster Sauce, Filet Mignon with Demi-Glace, or Vegetarian Option, and fresh seasonal berries with Grand Marnier Cream. A No-Host Bar is also at the event. Free Parking is available. Recommended Business Casual attire. Get your tickets today! Sorry, but there are no tickets available at the door.